Providing users with an unconfined mobile experience, the new Galaxy S8 features are refined, ‘unboxed’ design, enhanced security with new biometric technologies, robust entertainment capabilities and an intelligent new interface to enhance the way people interact with their phone. The Galaxy S8 builds on Samsung’s design heritage with a large Infinity Display, a bezel-less, dual-edge display that takes up more than 80 percent of the phone’s front screen. Visually obtrusive elements are minimal, resulting in more tangible screen space. An invisible Home button embedded underneath the screen functions just like a physical button while Recent and Back buttons are now customizable soft keys. The Galaxy S8’s subtle curvature flows from the front of the device to the back to create a more ergonomic grip ideal for one-handed operation. 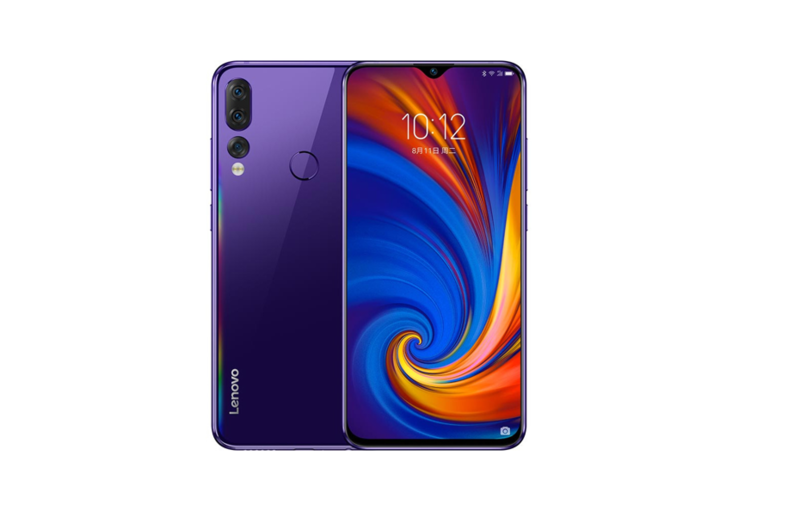 The phone’s camera, fingerprint scanner, and heart rate sensor have been incorporated on the back of the device in a way that minimizes protrusions, ensuring a sleek aesthetic at any angle. 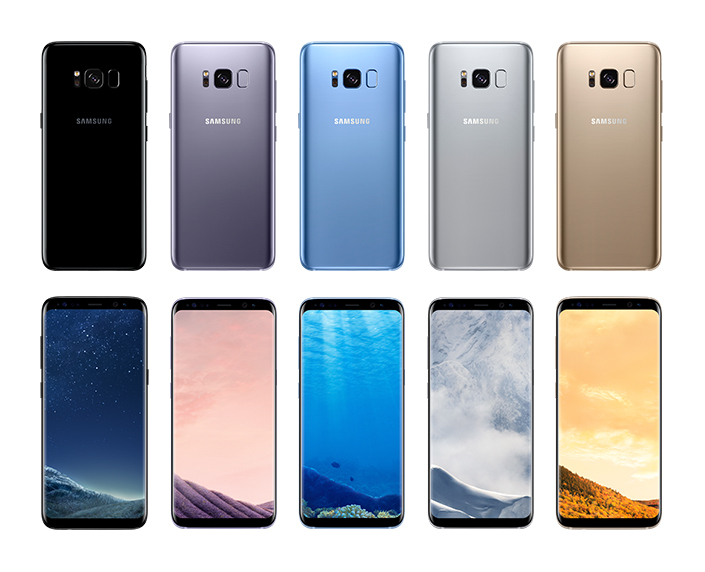 Available in five colors including Midnight Black, the all-new Orchid Gray, Coral Blue, Arctic Silver, and Maple Gold, the Galaxy S8 is enhanced by a rich color palette. The stunning Infinity Display of the Galaxy S8 is 18 percent larger than the display of the Galaxy S7, making for a noticeably more immersive viewing experience. When watched in landscape mode, 21:9 movies fill the Galaxy S8’s 18.5:9 display, while the black bars above and below the picture are minimized, increasing the viewing area by 36 percent, compared to the Galaxy S7. This, along with the phone’s High Dynamic Range (HDR) Premium capabilities, enables users to see content exactly as the creator intended. Gaming experiences, too, are enhanced, as any game that supports 18.5:9 full-screen mode is automatically optimized to fill up the entire screen. The Infinity Display also makes it easier to see and do more from a single screen without having to scroll as often. Optimized for multi-window usability, multitasking is made easy, even when using the phone’s full keyboard. The Galaxy S8’s new Snap Window feature enhances productivity by allowing users to pin a specific area from a recent app to the top of the screen, and continue using the area below it. In addition, the Infinity Display is protected with Corning Gorilla Glass 5 which is impervious to scratches and external impacts. 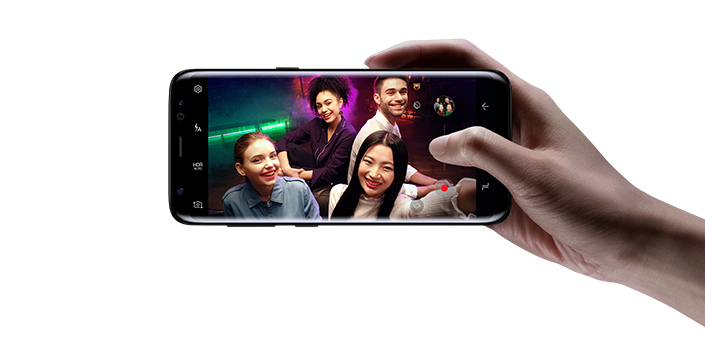 The Galaxy S8 builds on the Galaxy foundation with its advanced camera, which offers multi-frame image processing. With this technology, the camera takes multiple photos in rapid succession instead of just one, then selects the clearest image and uses the others to reduce the blur. This enhanced image processing ensures that shots were taken when the subject is moving, in low light or when zoomed in are clear and vibrant. The dual-pixel sensor technology, wide aperture and fast autofocus of the 12MP F1.7 rear camera work together to create beautiful photographs even in low-light conditions. 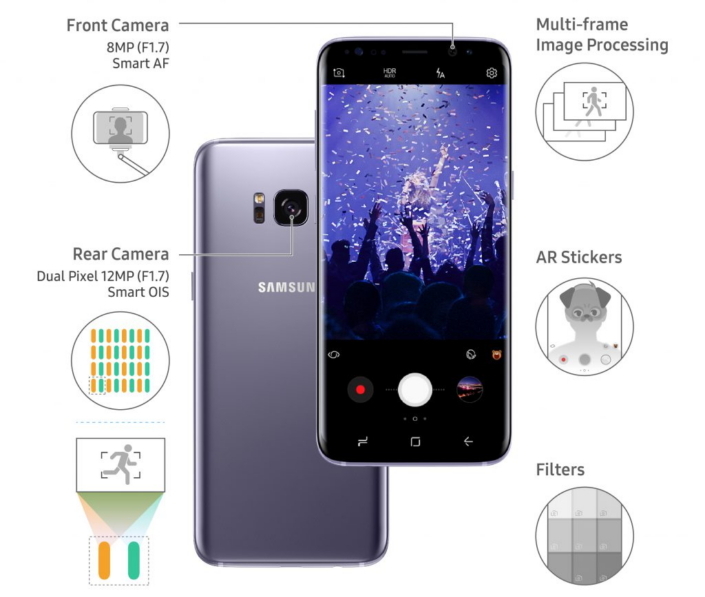 The 8MP F1.7 front camera has been equipped with enhanced autofocus features and facial recognition technology that can recognize and track faces to provide clear, focused selfies, regardless of the distance between the user and the camera. With an easy-to-use filter setting, users can enhance their photos by selecting from a variety of filters, including Auto Filter, which automatically selects one optimized for their photo. Animated stickers and stamps can also now be applied to images when taking photos, right from the native camera app. The camera’s UX has also been optimized for one-handed operation. With its multimodal functionality, its Voice feature lets users control multiple apps simultaneously using voice and touch commands interchangeably. Bixby has the ability to control all settings and features of each service without affecting other tasks users might be working on. Its Vision interface can detect what users are looking for and respond accordingly, making it easier to search for images similar to ones selected by the user, shop online, get information about landmarks, decode QR codes and even translate foreign text through the phone’s Camera. Bixby also ensures that users remember important events through its intelligent Reminder feature. 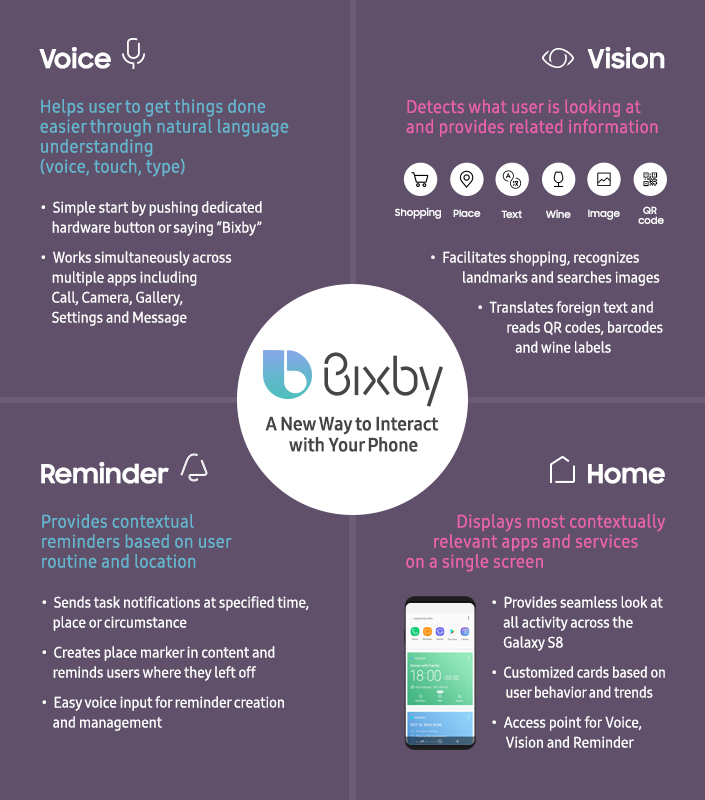 All of Bixby’s features can be accessed through its Home screen, which displays a user’s most contextually relevant apps on a single screen. 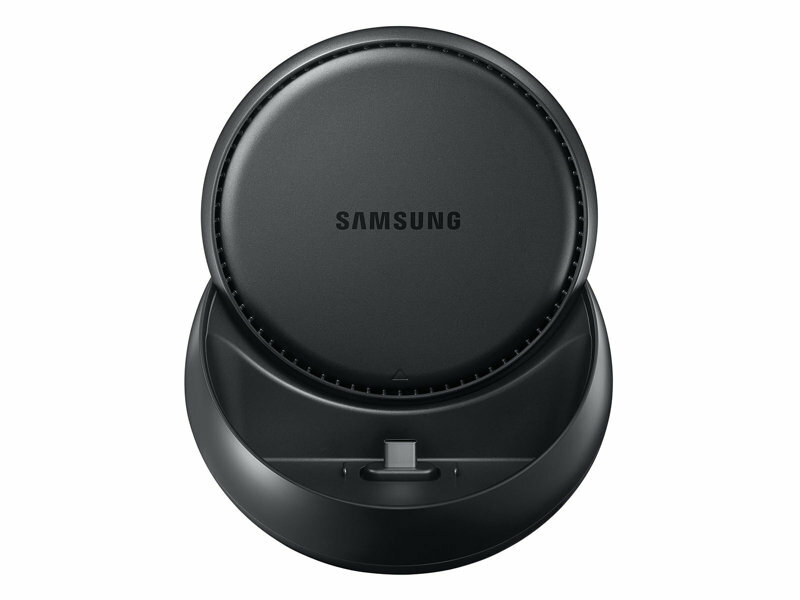 Samsung DeX is a new service that lets users use their Galaxy S8 as they would a desktop by providing a seamless, secure mobile-to-PC transition. With DeX, users can conveniently access apps, browse the web, send messages and more directly from their phone on a larger display without having to carry multiple devices or transfer data. DeX supports keyboard and mouse gestures, thus providing the effortless usability of a PC. Furthermore, with the ability to quickly shift between windows and adjust window size with ease, users can multitask more efficiently. Samsung DeX helps to maximize productivity with intuitive applications such as Samsung Browser, MyFiles, Gallery and Samsung e-mail. DeX is also compatible with the Microsoft Office and Adobe mobile app suite, which allows complete desktop-like functionality previously unavailable from a mobile device. In addition, beginning in the first half of 2017, customers will be able to use VDI to remotely use Windows OS as they would on a desktop. The Galaxy S8 provides strengthened security features through the integration of Samsung’s trusted Knox security platform and a combination of new and enhanced biometric technologies. The Galaxy S8’s highly secure iris scanner is fast, accurate and touch-free, making user verification easier than ever. Adding to the device’s security features are Samsung’s familiar fingerprint scanning and new facial recognition capabilities. The Galaxy S8 also provides various security services including Secure Folder, an encrypted folder that keeps private information separate and safe with an added layer of security, and Samsung Pass, which lets users easily log into mobile banking apps and websites on the Samsung Internet Browser using biometric authentication. Pre-loaded on the Galaxy S8, Samsung Connect lets users manage and monitor the smart devices in their home from one unified app. 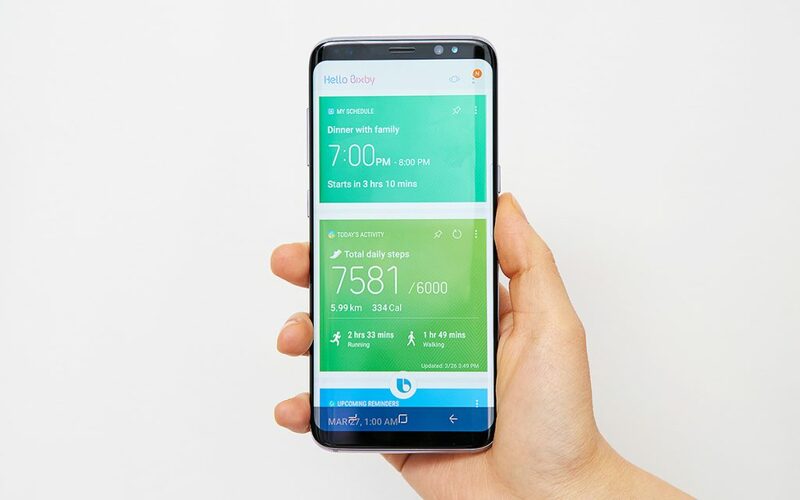 Users can connect their Samsung Connect-compatible IoT device to their smartphone through the Samsung Connect app. They can then set individual modes with different rules for each device. “Good Morning Mode,” for example, might turn on the lights and play music while “Going Out Mode” might turn off the air conditioner and start the robot vacuum cleaner. Through its key features including easy setup, automatic connectivity, and customization, Samsung Connect provides users with a more integrated approach to the smart home. Currently compatible with select 2017 Samsung IoT-enabled devices, Samsung Connect will support third-party devices with the SmartThings hub in the future. Samsung Pay is ‘Simple, Secure and Almost Everywhere’, making it a revolutionary payments system. Apart from allowing users in India to simply tap and ‘pay on the go’ using their registered cards, Samsung Pay has integrated digital wallet Paytm as well as the government’s Unified Payments Interface (UPI) into its app. 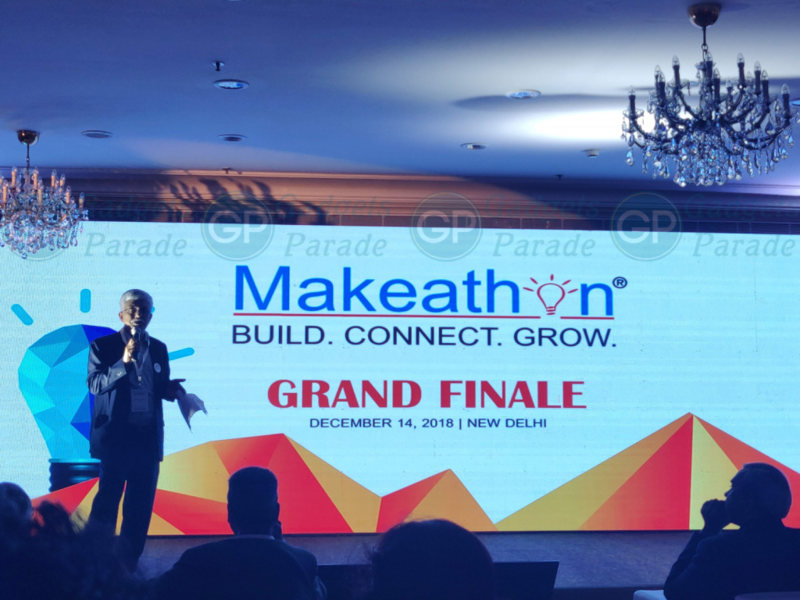 The integration of Samsung Pay with local payments solutions is in line with Samsung’s ‘Make for India’ commitment. 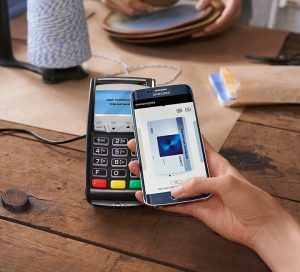 Payments through Samsung Pay can be accepted at all places where a physical card will work. To launch Samsung Pay, a user will just have to swipe up on a compatible phone, select the card, authenticate using a fingerprint or PIN and bring the phone close to the PoS terminal. Samsung Pay works with Samsung’s patented Magnetic Secure Transmission (MST) technology as well as with Near Field Communication (NFC). Since a majority of PoS terminals in India are MST-enabled, they will work seamlessly with Samsung Pay. Since its launch in July 2015, Samsung Pay has rapidly expanded its service by supporting additional value-added features in multiple markets worldwide. With its launch in India, Samsung Pay is fully available in 12 global markets, including South Korea, the US, China, Spain, Singapore, Australia, Puerto Rico, Brazil, Russia, Thailand, and Malaysia. 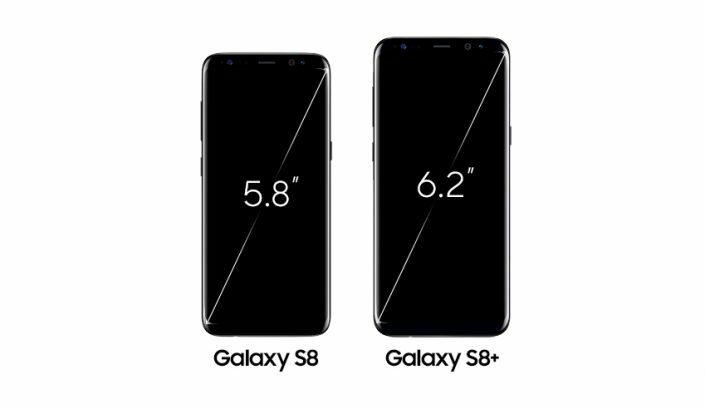 The Samsung Galaxy S8 and S8+ will be available starting on April 21, both the phones will be available for pre-order starting, March 30th. It will be available in a rich color palette including Midnight Black, Orchid Grey, Arctic Silver, Coral Blue and Maple Gold. The Galaxy S8 is priced at $750 (Rs. 48,660) and the Galaxy S8+ costs $850 (Rs. 55,140). 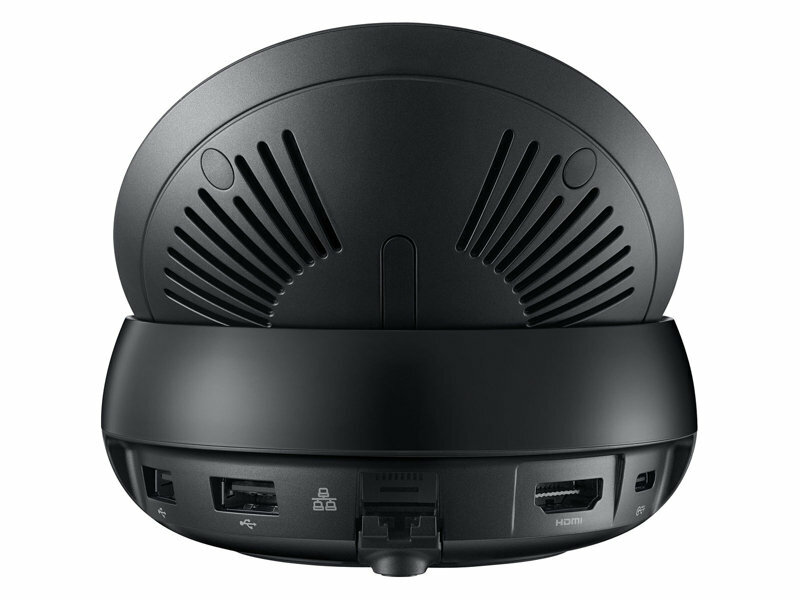 It also comes with earphones tuned by AKG by Harman in the box, which will be available separately for $99. 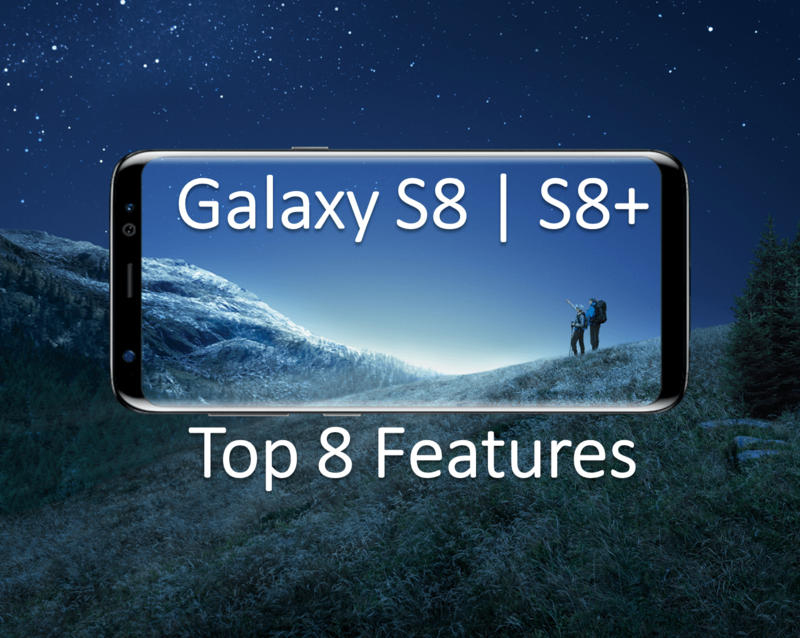 So here were some of the most interesting top 8 Samsung Galaxy S8 features, if you like this post share it with your friends.